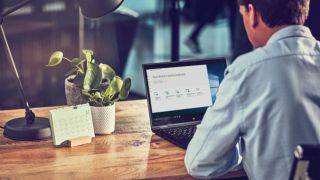 Windows 10 has finally pushed past Windows 7 in terms of overall market share, going by the latest figures from one analytics firm. According to Statcounter, in January’s figures for Windows desktop operating system market share, Windows 10 climbed to reach 42.78%, a jump of 1.09% compared to the previous month. Meanwhile, Windows 7 dropped just a smidge – by 0.03% – down to 41.86%, meaning that Microsoft’s newest OS has overtaken it by almost a clear percentage point. In short, Windows 10 is now king of the desktop operating system hill, some two and a half years after its release. Look back to January of last year and the gap was still fairly large, with Windows 7 being the clear leader on 47.46%, compared to Windows 10, which was on 32.84%. As for the current state of play regarding other versions of Windows, they are all flatlining below 10%, with Windows 8.1 in third place on 8.70%. Windows XP still has a 3.36% market share, and even Windows Vista is clinging on with some users (0.74%). Note that this is just one company’s snapshot of the market as it currently stands, and rival analytics firm Netmarketshare still has Windows 7 in the lead (by 42.39% to Windows 10’s share of 34.29% at the last count – still a fair gap). This is because there are various differences in the methodologies that these organizations use to collect and process their statistics, not to mention the fact that Netmarketshare covers all desktop operating systems – i.e. macOS and Linux as well as Windows. Whereas Statcounter just focuses purely on Windows versions, although the latter holds the vast majority of the overall market anyway, at around 90%. Still, this is clearly a major milestone for Windows 10, with one of the leading number-crunching outfits declaring it in first place for overall user base. Of course, Windows 10 already became the most popular OS with gamers a long time back according to Steam’s hardware survey, although that isn’t the case currently – because recently, everything has got very muddy regarding that particular report. Seemingly, this is mainly due to the big influx of Chinese gamers addicted to PlayerUnknown's Battlegrounds majorly skewing the survey results. As a result, the current state of play according to Steam can’t really be meaningfully compared to the previous landscape since these massive shifts happened last November.